https://berkshirefencing.com/fencing/concrete-morticed-corner-fence-posts/morticed-concrete-corner-post-2-44m-pn1146/ 2948 Morticed (concrete) Corner Post-2.44m https://berkshirefencing.com/wp-content/uploads/2016/02/morticed-concrete-corner-post-2.44m.jpg 32.27 32.27 GBP InStock /Concrete Morticed Corner Fence Posts Massive deals on our Morticed (concrete) Corner Post Grey at Berkshire Fencing. 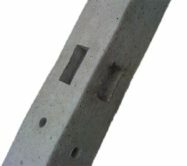 If you like quality, The Morticed (concrete) Corner Posts are right for you!.To get an Installation Quote for Morticed (concrete) Corner Posts please click this link. 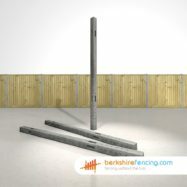 Our recommendations.Grab The Beautiful Morticed (concrete) Corner Post-2.44m at a great price At Berkshire Fencing.The Original Morticed (concrete) Corner Post from our Closeboard Fencing range comes fully treated and guaranteed to last. 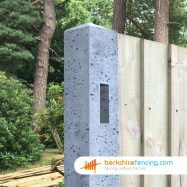 Our Closeboard Fencing or in particular our Morticed (concrete) Corner Post-2.44m will make you the envy of your neigbors, not only are they best on the market. They're twice as heavy and will last for years. Guaranteed. 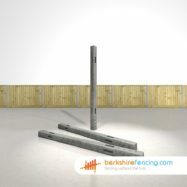 Extra information.These decorative Morticed Posts we supply are quite straight forward to fit. 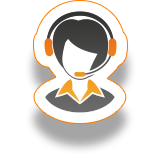 However if you need any assistance please call us on 01635254214..Morticed (concrete) Corner Post-2.44m in Grey - Manufactured in Concrete for our Closeboard Fencing range. 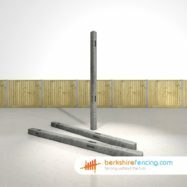 For Massive Fence Supplies & Fencing Prices in Thatcham/Chaddleworth or Grazeley Green, Call us Now at Berkshire Fencing. 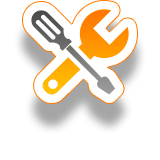 SKU:M(C- Gr-6346. Category: Concrete Morticed Corner Fence Posts. Tag: 2.44m.